I'm always looking for new projects (aka things to keep me busy at night so I don't go to the fridge 100+ times and eat my weight in snacks) My mind is always thinking what can I make next...will I paint something? sew something? make jewelry? You get the idea here. 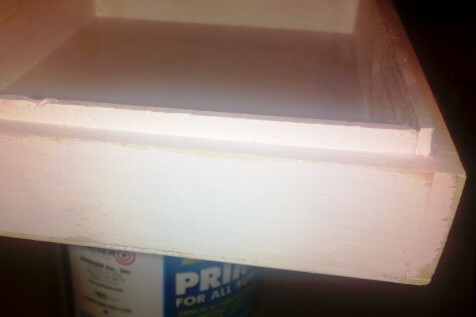 This weekend I found a little wood box in the back of my closet that was just itching for a makeover. 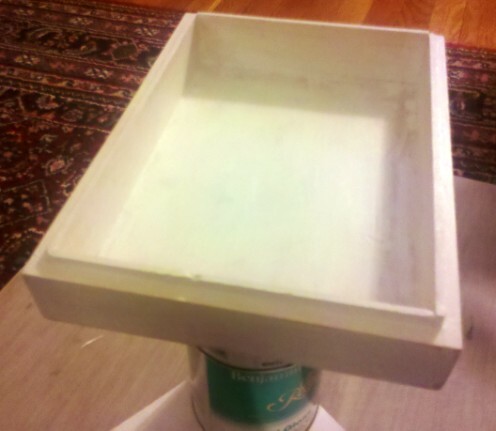 I then gave it a few coats of high gloss white spray paint to "try" to give it that lacquered look. Since I had painted a design on the box and tray I just made, I decided to try a new technique. 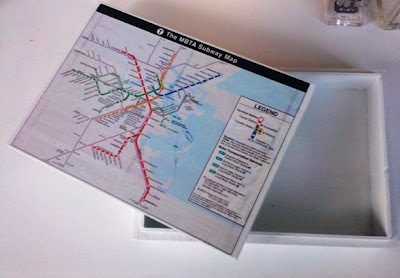 I got out a stack of Boston maps, mod podge, ﻿paint brushes and went to work. 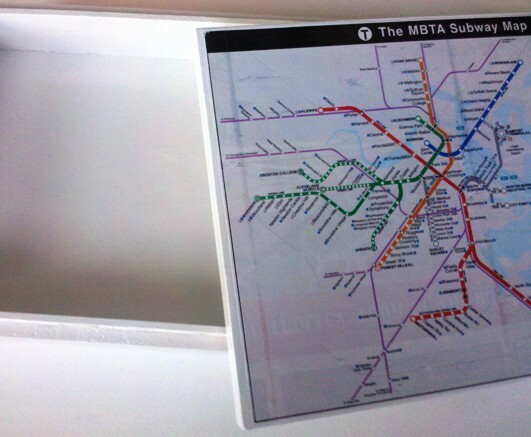 I was going to cover the whole box with Boston maps, but I decided to go simple with this one and just use the MBTA map for the top. Once the mod podge was dry and the little bumps were smoothed out, I gave it a heavy coat of my favorite Rustoleum Clear Lacquer spray paint to seal it all in. Not sure what I'm going to do with it yet, which is why the photos are not really styled, But it was a fun project to keep my busy and show my love to Boston. On to the next one I go. 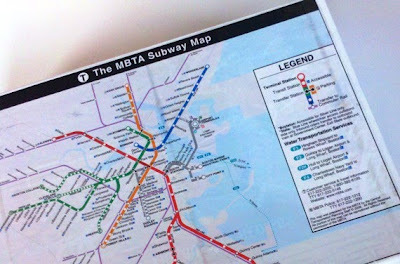 why would you ever want to be reminded of/pay homage to the worst public transit system there ever was? it was more of a sarcastic love :) Plus, it was the only map I had that fit perfectly on the top of the box, so thats what I went with hahaha. but you are right, it is pretty horrible. Love it! I can just see it in a Lonny article... 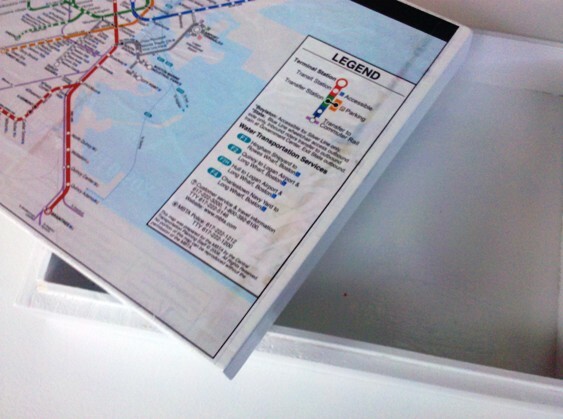 I really like lacquered boxes and maps, so the combo is perfect. Nicely done! 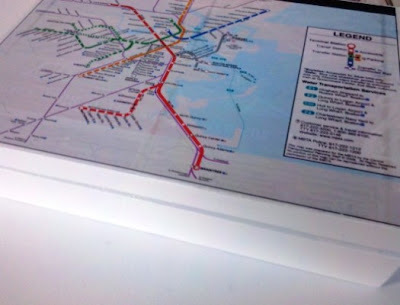 I love the shiny and bright white accented by the pop of color in the maps. I am with you, always on the hunt for a project to occupy my mind- keep up the good work! ok seriously - i LOVE your reasoning!!! to avoid the munchies, loves it! .. and i LOVE the box!, i like to decoupage things, it's fun to see how it all look in the end - great job! Projects do keep our mind busy - and then we have something to show for it as well besides unwanted calories. cute! i like the primary colors. sadly, nothing on the T is that bright and shiny anymore! Good ol' Rustoleum! The best. I love your box, and the map idea is great. Love the box! The good news is it will last longer than a snack. So rewarding to create something with your own two hands, isn't it? Wish I did more of it. Do tell about NYC when you're back! I can't even imagine how amazing it musr be to be in the same room with so many amazing ladies! ps. i blogged about YOU today! you have now been wiggle! You are me. I wake up and craft things in the middle of the night. Start an etsy store to sell ur creations. Thats what I did. I had too much crap lying around!